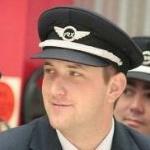 Matthew is a Commercial Pilot and a full time University Student. He is currently studying towards a Bachelor of Aviation specialising in Technology at CQUniversity in Australia, this is on track for October 2015 completion. Once completed Matt wishes to complete a Master of Safety Science specialising in Human Factors Engineering or Air Safety Investigation through coursework and research. Prior to focussing on his professional flying career Matt was involved in the Financial Services industry, in particular Financial Planning, where he completed an accreditation in Financial Services (Financial Planning). Matt’s passion lies with Aviation, Technology & Science, he however still has a ‘soft spot’ for finance, including world markets, funds management, wealth strategy, and Australian tax law.